The flames light the sky. King's boat,loading with the wish of the devoted folk and pestilence in human world, drove to the sky river. 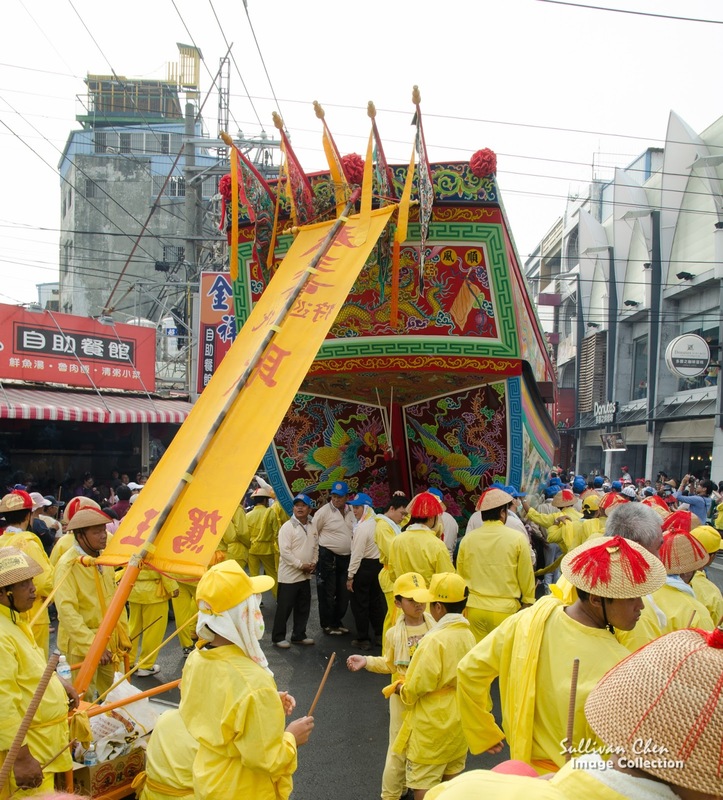 The King Boat Ceremony is a common religion rite of Taoism, the most popular religion in Taiwan's society. 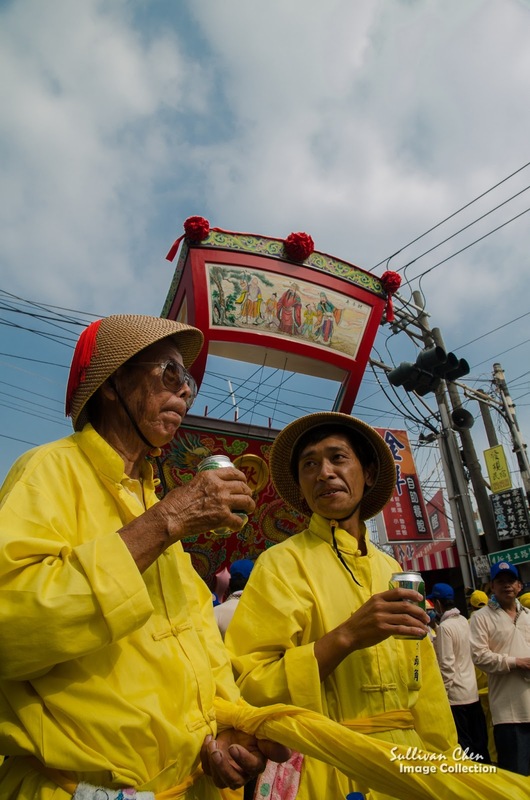 The ceremony is particular prevail in South Taiwan.Taoism separate the universe into three worlds. 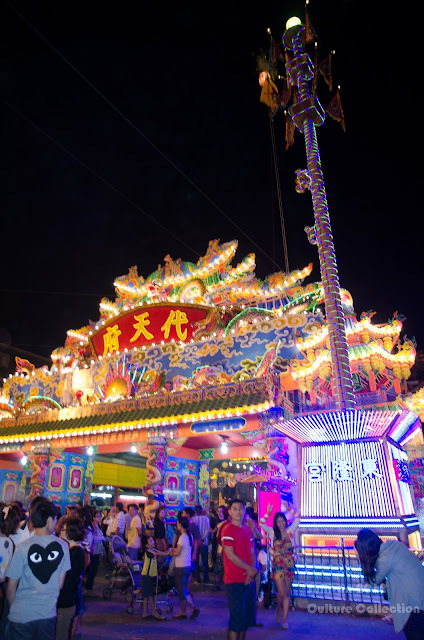 Human world is ruled bye the emperor, the underworld is ruled by Yama, and the heaven is ruled by the Jade Emperor. The Jade Emperor has the supreme power over the three worlds. In order to inspect merit, poverty, disease, unfair adjudication in human world, the Jade Emperor will appoint a delegate king, read as Wangyeh, to exercise the power on behalf of him every three years. The inspection last for a few days. The delegate king arrives human world from the sea at the first day, and also leave for heaven from the sea as well. 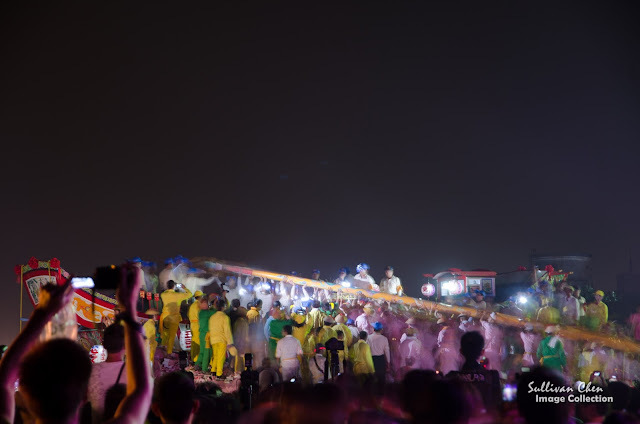 People build a delicate boat to worship the delegate king and see him off. When delegate king exercise his duty, he lives in the temple of the king who guards the town. 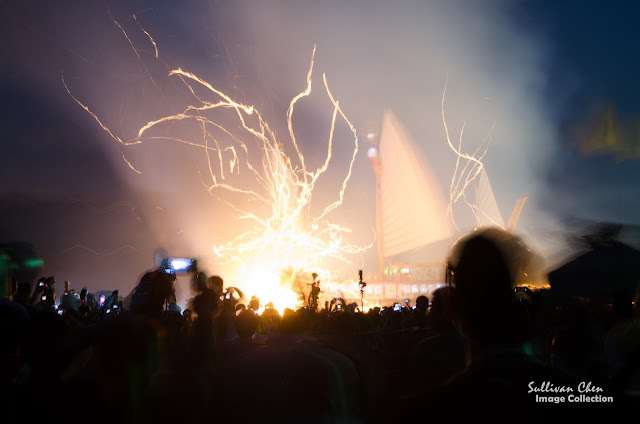 Burning is a unique religion rite in the Chinese society. People believe that through burning the models of stuff, e.g. money, iphone, mansion, camera, super car, and etc., the residents of underworld or heaven can receive the real stuff you burn. 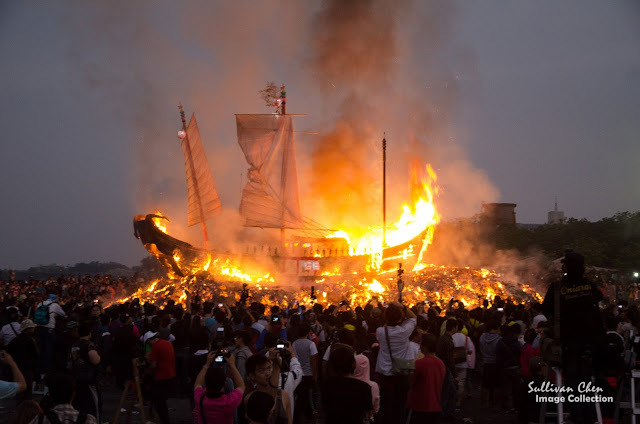 And burning the king's boat means that the folks devote the boat to the king. There are lots King Boat Ceremonies in different places. 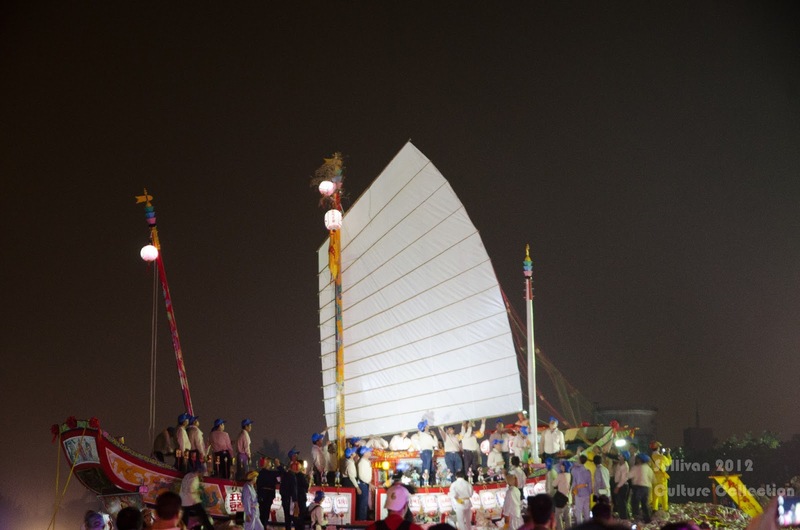 The most famous King Boat Ceremony , with the largest boat in Taiwan, is the one in Donggang Pingtung. The Saluting King Ceremony in Donggang Pingtung lasts about 10 days. The Donglung temple is the host of the ceremony and serves as the mansion for the delegate king. 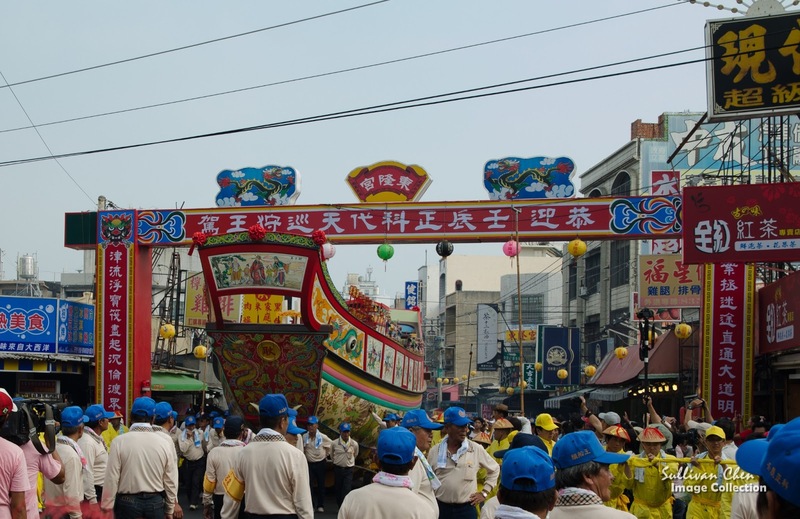 Although burning the boat is the highlight of the rite, however, the local people rectify the name "Burning Boat Festival" to "Saluting King Ceremony". Temple Donglung, the host of the ceremony, is Daitienfu, meaning the mansion of the delegate king, during the delegate king stays in. 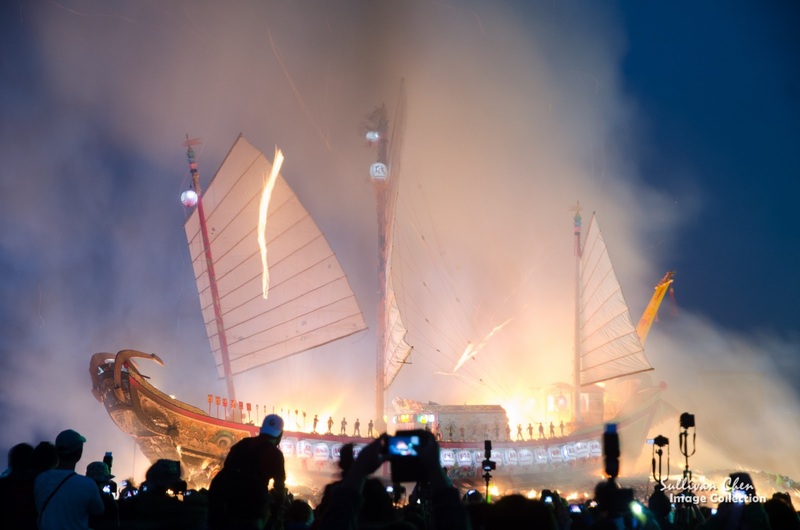 The Saluting King Ceremony of Donggang in 2013 stared from Saluting King Ceremony in the afternoon of 14 Oct, and ended in Burning Boat Ceremony in the dawn of 21 Oct. The boat pilgrim was held in the afternoon of 20 Oct. In the boat pilgrim, the boat, including equipments, moved around the town. Donggang was a small town with lots residents having moving out. It seems almost all the residents, including those moving out, joined the pilgrim.The boat was so delicate that it seemed that the boat could sail on the sea. If fact, the building of the boat started from three years ago, since the end of last Saluting King Ceremony. It was also impressive that lots kids and seniors joined the pilgrim. It was a honor to serve the king for seniors. 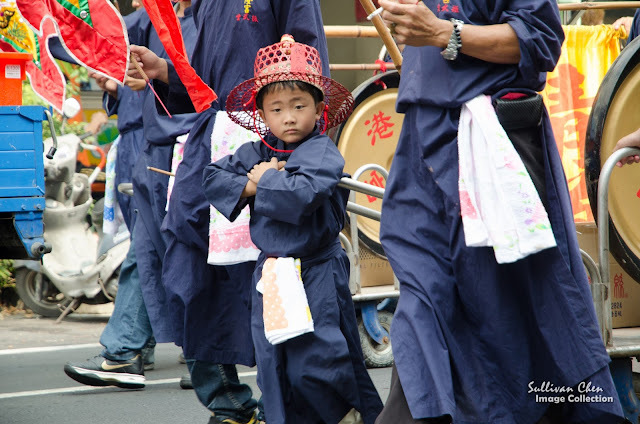 In a traditional traditional religion pilgrim, kids were usually not a part of it. 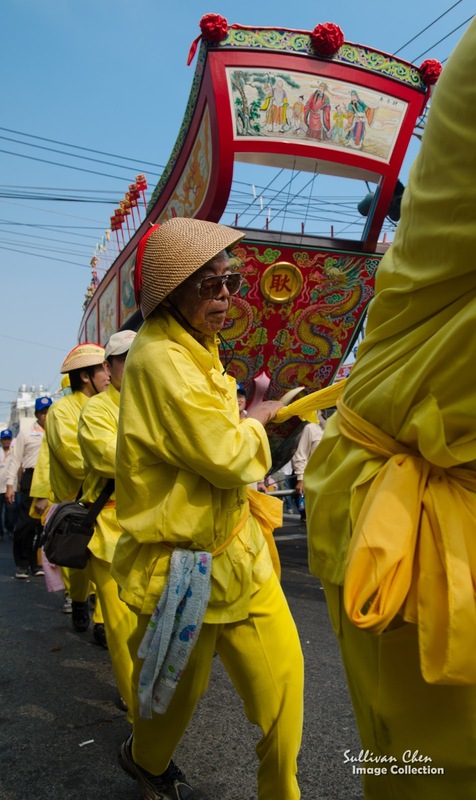 Another feature of the King Boat Ceremony was the organization. All villages joined the pilgrim. 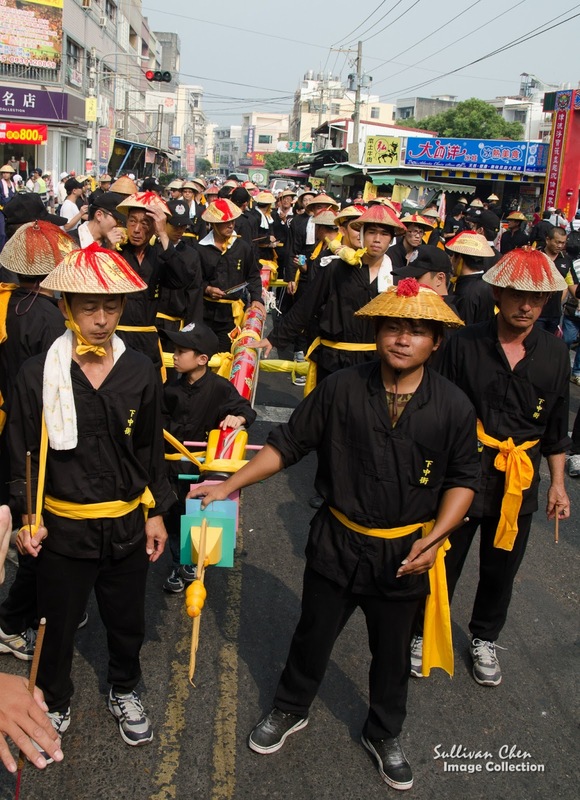 In order to identify their villages and tasks, they wore in different colors, including yellow, black, pink , white, green, gray and blue. Each village guarded one component of the boat in the pilgrim. For example, the village in yellow guarded the boat body, the village in black guarded the front mast, and the village in white guarded the rear anchors. The boat went back to Temple Donglung after the pilgrim in the evening, and headed for the beach around 12 pm. The boat walked on the streets with tens of thousands people crowded. 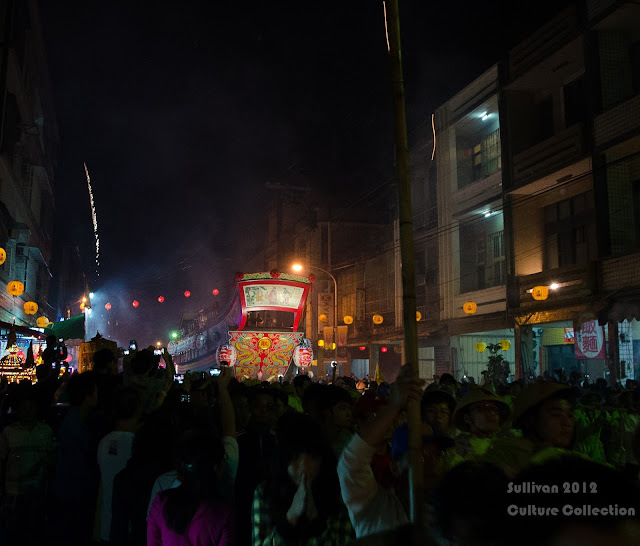 Fireworks lighted the dark night and the brass band played sonorously as to stop the passing clouds. Although 1 km between Temple Donglung and the beach, it took more than one hour for the boat to reach the beach. The boat of the king heading for the beach. It took hours to assemble the boat, including three masts and two pairs of anchors. Of course, the devoted folks also prepared models of stuff, including servants and boatmen, for the king. The fire was set at about 5 am. All of the sudden, the fire swallowed the boat in a few minutes after the fire was set. Rigging burning like a flying dragon. The fire lasted more than one hour and finished in the morning light. Was it a pity to burn a delicate hand-made boat that cost about 10 million and 3 years to make? No!! For the devoted folks, it was a honor to bring the glory to the King and the gods. (1) Don't touch anything, including equipments, of the boat. (2) Don't stand higher than the boat. (3) Don't make a joke about the rite. Please refer to the official website of the Tourism Bureau.